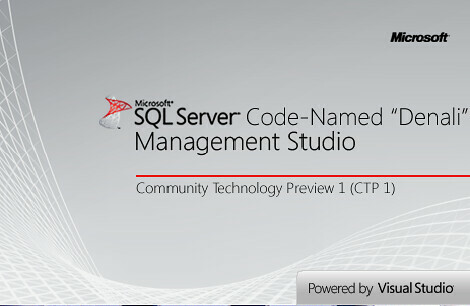 The SQL Server Management Studio that ships with SQL Server Denali CTP1 is based on the Visual Studio 2010 shell. 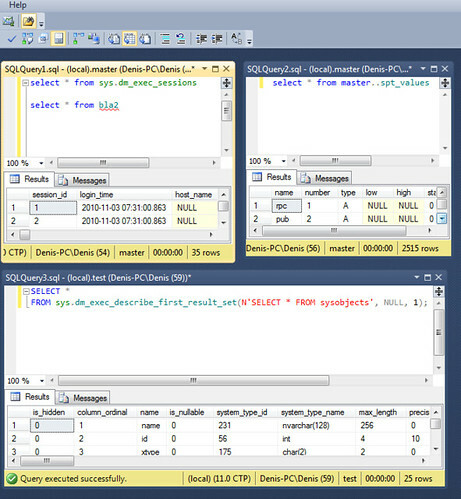 One of the advantages you will see right away is that if you have multiple monitors you can drag a query window to another monitor. 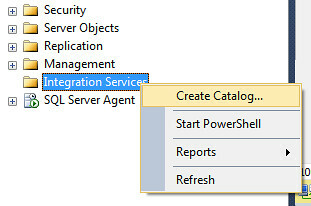 This is some great stuff because currently I have two and sometimes 3 instance of SSMS running at all times. 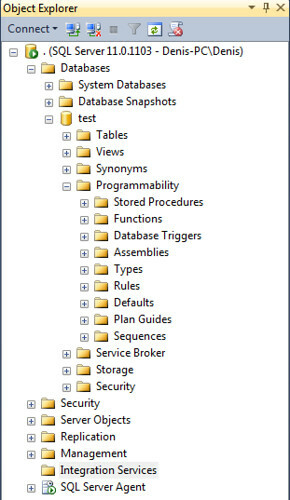 The problem with the Error List is that it works on design/parse time, if you happen to get the same error as at execution time then you can click on the Error List item and it will bring you to the line with the error, otherwise you are out of luck. environments. 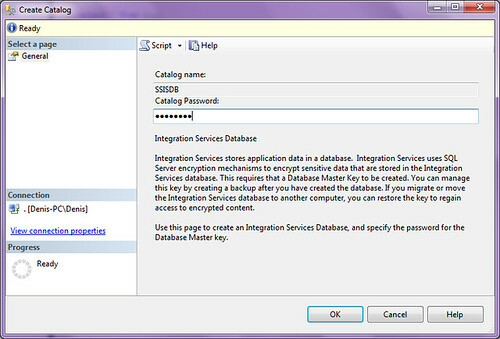 Here is just a quick screenshot tour. 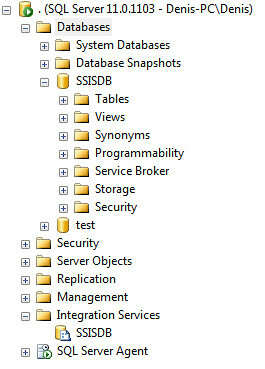 Now your catalog is created, you will also see a new database in your Object Explorer in the Databases folder. 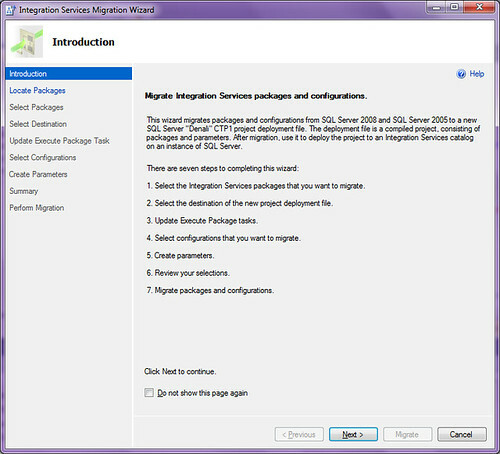 Since this is just a high level post, I am not going in detail about the Integration Services Migration Wizard, that is for a stand alone post.